The 11th annual Standard Bank Top Women Awards gala event, in collaboration with the Top Women publication, took place at Emperors Palace on 14 August 2014. Celebrated, in fine style, with worthy women in business being recognised for their inspirational leadership and outstanding performance in the world of business and government. 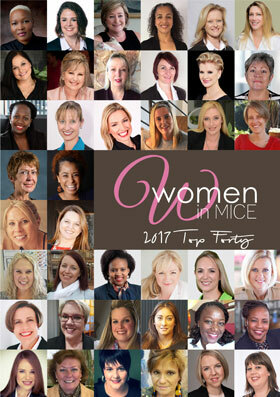 One of 5 nominees, Thebe Reed Exhibitions collected the Travel, Leisure and Entertainment award and Managing Director Carol Weaving, who was nominated as one of 10 candidates, walked away with the prestigious title of Top Female Entrepreneur. A worthy winner, Carol’s dedication to the travel and tourism industry is unwavering. She has worked in South Africa’s tourism industry for the past 25 years, from arranging exhibitions, events and conferences, to managing venues and facilities. In 2013, under Carol’s leadership, the newly branded Thebe Reed Exhibitions entered a joint venture agreement with the world’s leading provider of exhibitions in the travel and tourism industry, Reed Travel Exhibitions, who in May 2014 were responsible for launching the inaugural Africa Travel Week (ATW). ATW, which comprises of 3 co-located B2B travel exhibitions, International Luxury Travel Market Africa (ILTM Africa), Incentives, Business and Travel Meetings Expo Africa (IBTM Africa) and World Travel Market Africa (WTM Africa) all took place in one week and all under one roof at the Cape Town International Convention Centre (CTICC). Carol Weaving was delighted to have been honoured in this way saying, “I am really happy to receive this award on behalf of all the dedicated women that work alongside me at Thebe Reed Exhibitions. This year, over 160 companies from a range of different sectors, including agriculture, science and technology, transport, and retail, entered the awards.